“When is the best time to quit your daily job and start-up? “ Well… there’s a pretty simple answer to that question. The answer is: If you have money enough to buy food and clothing for the rest of the year, You have an idea and a business plan in mind that seems brilliant to YOU and you are high in spirits to shape this idea into a full-fledged enterprise, you should leave your job and put in all the efforts in the startup. There is no stepwise set of conditions that could define if you are in a position to startup or not, but certainly there are a few basic questions you should ask yourself before leaping into world of Entrepreneurship – because the first step of starting up is the hardest and of course the most crucial too. 1) Do you have an Idea in mind? Developing an idea is where all the creative juices would help you get to the thought which you would like to work upon in future. The idea may not seem feasible, but yes then you have to tell yourself that even the idea of The Internet felt impossible a few decades back. 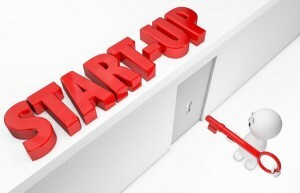 2) Have you worked out the business plan for your startup? After you have settled upon one idea, the next most important step is to build a timeline, work out how the startup would grow as time passes and also build a revenue model taking into consideration all practical factors for the near future since this is the step which leads most of the startups to failure within one or two years of its establishment. Considering all the funding options available from the Government as well as Private Institutions could certainly accelerate your progress in the first phase. This needs to be done while you still have your day job to do. 3) Do you have the requisite education for the startup? Acquiring a requisite education not only helps you grow the startup better but also maintains a feeling of self-security and keeps the job options open even if your startup fails. 4) Have you accumulated enough money to fund yourself and the startup for the next one year? Do you have a family to take care of? If yes, you certainly should map your savings and the expenditures for yourself, your family as well as the initial capital and expenses for the startup for the next one year or at least a quarter more than the time your business plan expects revenue out of the venture. If your answer to all the above questions is a confident YES – Then you are ready to let go of all the worries and risks of starting up and pursue your idea into a bright future. Welcome to an altogether new world – full of freedom and opportunities. Welcome to the world of Entrepreneurs!